The sister preparation to “sour”. 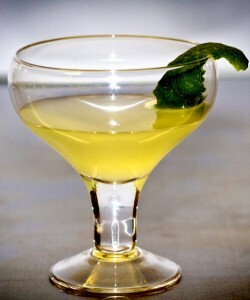 A gimlet uses lime juice instead of lemon and provides a slightly lighter crispness than The Fitzgerald. Make yourself a Genius Gimlet and lay by the pool. We guarantee that it will be a brilliant combination. Pour the gin, simple syrup, and juice into a cocktail shaker filled with ice.